The industry’s youth may cause investors with a low-risk tolerance to view P2P lending as an unpredictable instrument. Generally, there is a consensus among investors that P2P lending constitutes a higher-risk, but higher-reward investment. Let’s begin with default rates in USA platforms. 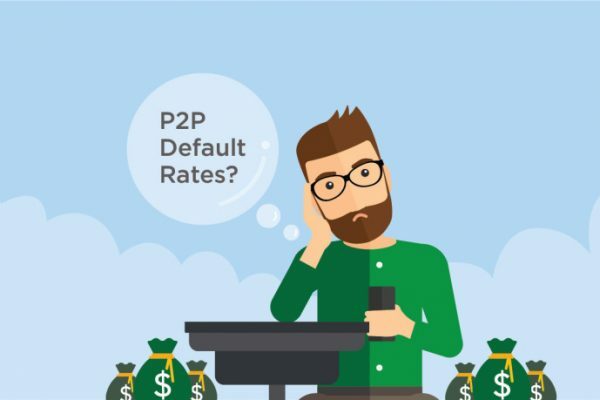 In this fascinating article, the author analyzed historical trends of default in two well-known USA platforms, then drew conclusions about the default rate of the P2P industry. Moving on, let’s focus on a well-known and respected P2P lending platform from the UK: Funding Circle. In their statistics page, Funding Circle claims that its average annual default rate stands at 2%. The rate has also remained solid over the years (calculated from 2012-2017), showing that platform maturity and good credit underwriting will stabilize default rates. Meanwhile, reinvestment refers to the act of funneling your investment gains into new investment opportunities to maximize your returns. Without reinvestment, you only receive the expected rate of returns. But with reinvestment, you can maximize (sometimes doubling, even tripling) your returns while minimizing your investment risks in case of default.